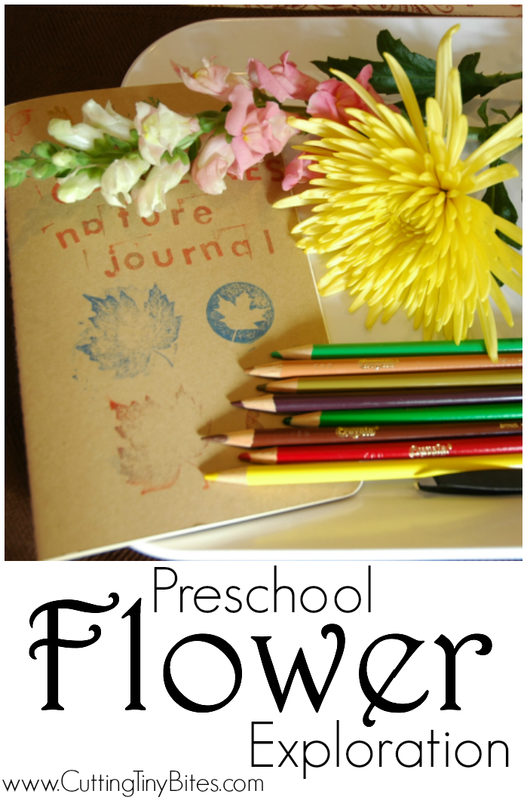 Most preschoolers love flowers, but may not have spent much time really looking closely! 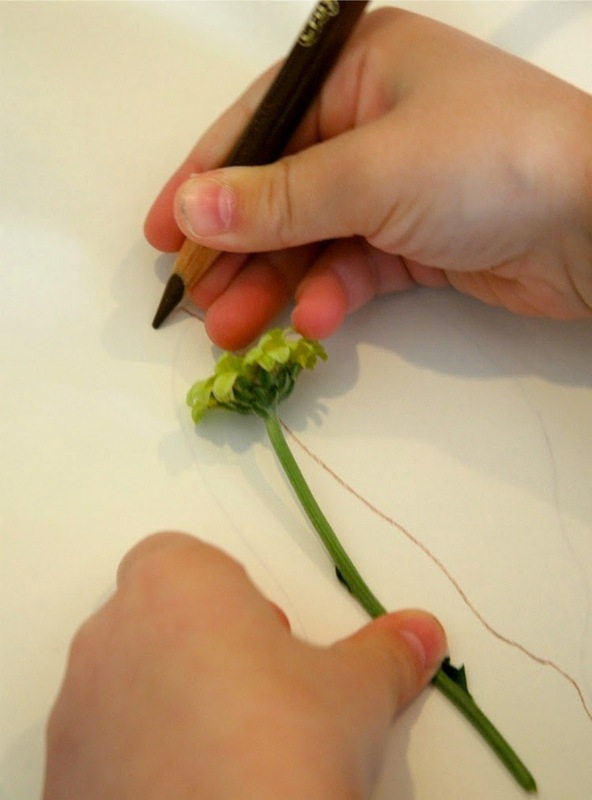 If you give them the opportunity, they can learn all about flowers while they get up close and personal with nature. You'll need some flowers! Grab some from your yard, or pick up a cheap bouquet from the grocery store. It's a bonus if you have several different varieties for your child to explore. You'll also need some colored pencils and some paper or a journal (we used our Nature Journals). A magnifying glass is a great addition to this activity, if you have one. 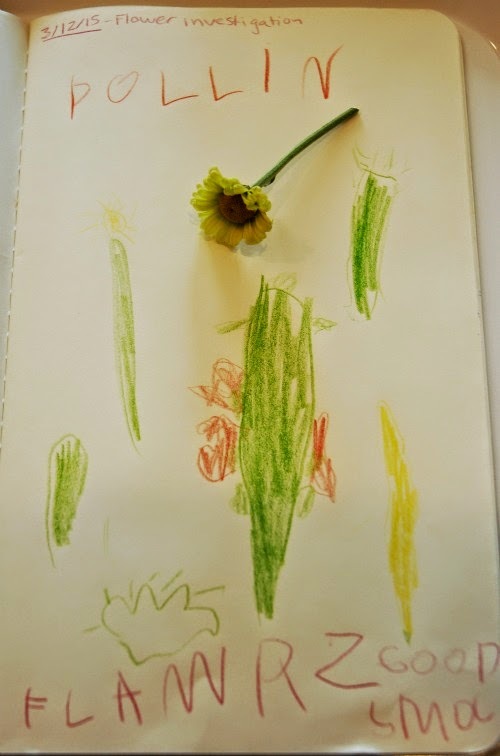 Let your preschooler draw the flowers, petals, stems, and leaves. Discuss what they're drawing. Ask lots of questions to encourage them to look more closely. Point out additional details that they may not have noticed. I let the girls pull some buds apart, and explore the insides. I pointed out the stamen, pistil, and pollen. We talked about how the bees and butterflies pollenate flowers. 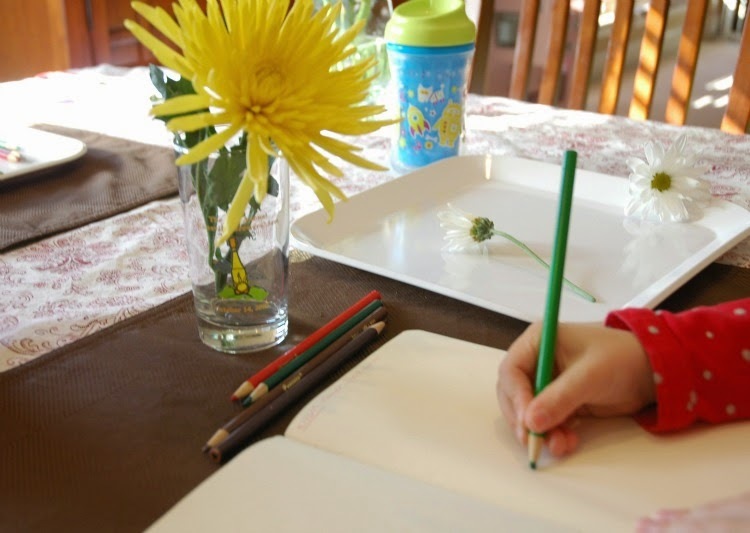 Encourage your child to write anything they'd like to about the flowers, if they are able. You can also have them dictate their thoughts to you. Preschoolers can be so on.the.go.busy.busy.busy. Unless you take a minute to encourage them to slow down and look closely at something, they probably won't do it on their own! Lena learned more about flowers in this 20 minutes than she has in her whole life, just because she dug deeper and was able to really focus. Your preschooler will learn a lot, too! 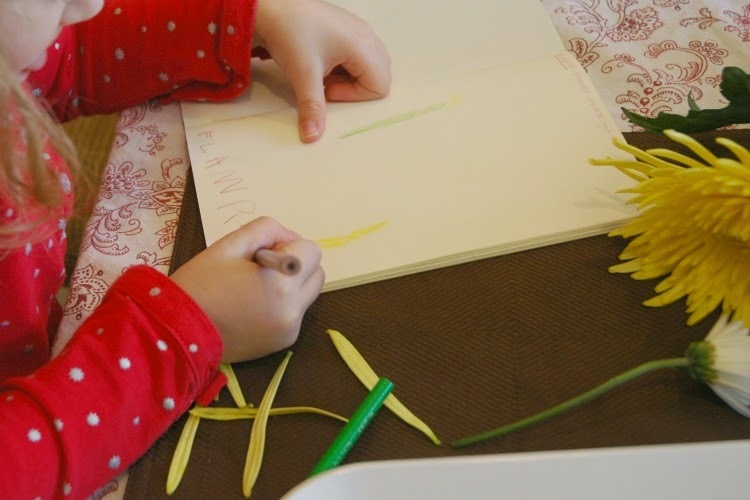 For more great spring ideas for your preschooler, visit the Cutting Tiny Bites Pinterest board below. 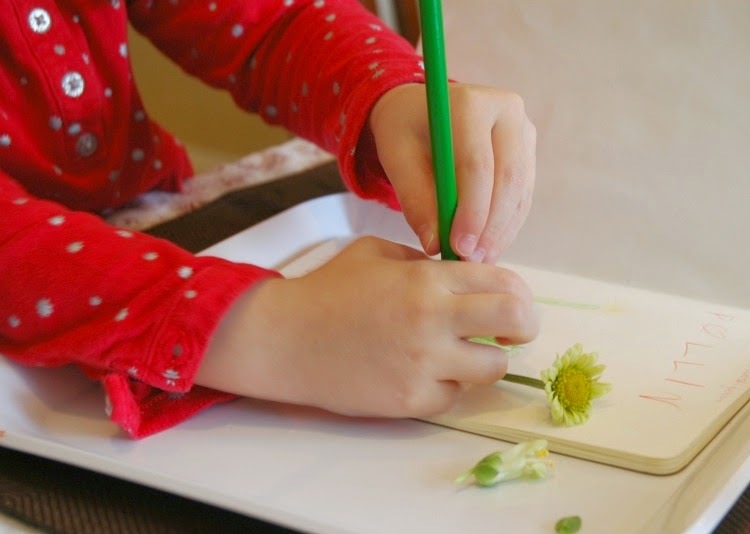 Science and art activity for kids. Great for garden or spring theme.